The ideal treadmill for users who desire a space efficient, simple to use treadmill with proven quality and backed by an industry leading warranty. The easy to use T240 Sport console is great for users looking to just get on and go! Included are all the basics needed to help get you in shape and keep you there. Bodyguard Fitness T240S Treadmill comes with 5 preset programs which will help you in your workouts at different levels. TreadmillDoctor.com 6.5 out of 10 A former best buy winner. Bodyguard raised their MSRP by $300 while Precor dropped theirs by $700. Which would you pick? Treadmill-Reviews.com 2.9 out of 5 The T240S treadmill from Bodyguard is a mid-level machine designed to offer users a simplistic yet long-lasting design. *Note: Most of the sites, stores or shopping portals listed above sell Bodyguard T240S Residential Treadmill with discounts and other exciting offers. 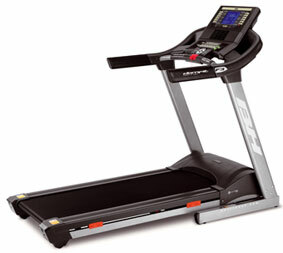 There is a possibility that the some of above websites are not selling Bodyguard T240S Residential Treadmill now. Toughtrain.com is not liable for such cases or instances. Also we do not recommend any seller for Bodyguard T240S Residential Treadmill and a buyer should buy from where he/she gets best deal with quality of products, service and on time delivery (shipment).